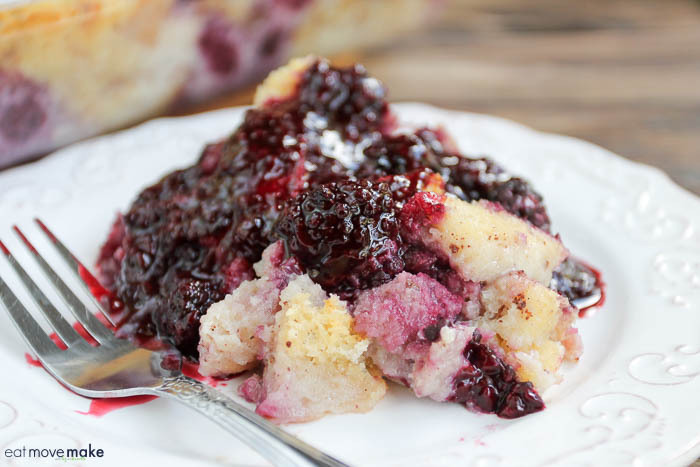 This blackberry bread pudding was created for #SummerDessertWeek! I was sent samples by some of the sponsor companies but as always opinions are 100% mine. I’m crazy about bread pudding! I love how the outside has a bit of crust but the inside is soft, warm and still sort of ooey, gooey pudding-ish. I especially love when there’s a topping to pour over it and make it even more decadent. Exhibit A: my recipe for blackberry bread pudding. It’s soooo good! 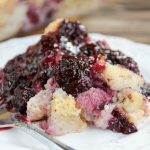 Scroll to the bottom for the blackberry bread pudding recipe! 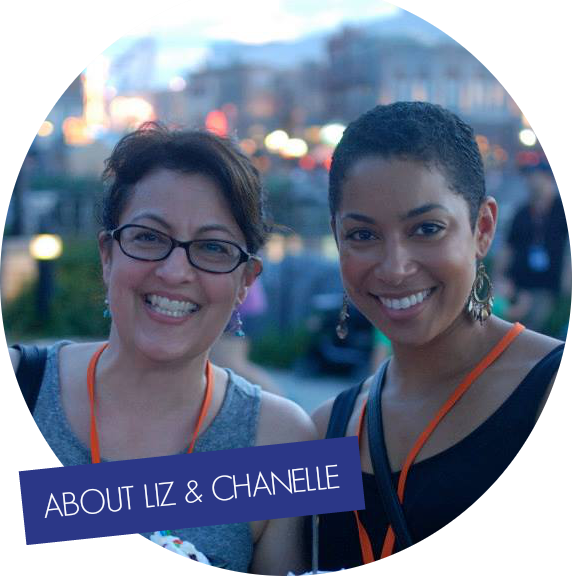 There are 23 wonderful bloggers participating in this year’s event! With over 60 recipes being shared this week we just know that you’re going to find a new summer favorite! Sponsored ingredients in the blackberry bread pudding recipe: Dixie Crystals sugar and Adam’s Extract vanilla. Spray bottom of 11 x 6-inch baking pan (or similar size) with cooking spray. In large bowl, whisk together eggs, sugar, milk, vanilla and cinnamon. Put half of the bread cubes into the pan, top with half of the blackberries and half of egg mixture. Repeat the layers. Let stand 15-20 minutes to allow moisture to sink into bread cubes. Bake until top begins to brown, about 1 hour and 10 minutes. Serve warm. To add sweetness, drizzle with maple syrup, blackberry syrup or blackberry sauce just before serving. Pin the blackberry bread pudding recipe for later! I have blackberries in the freezer and thought I’d make a pie or cobbler, but I’ve changed my mind! 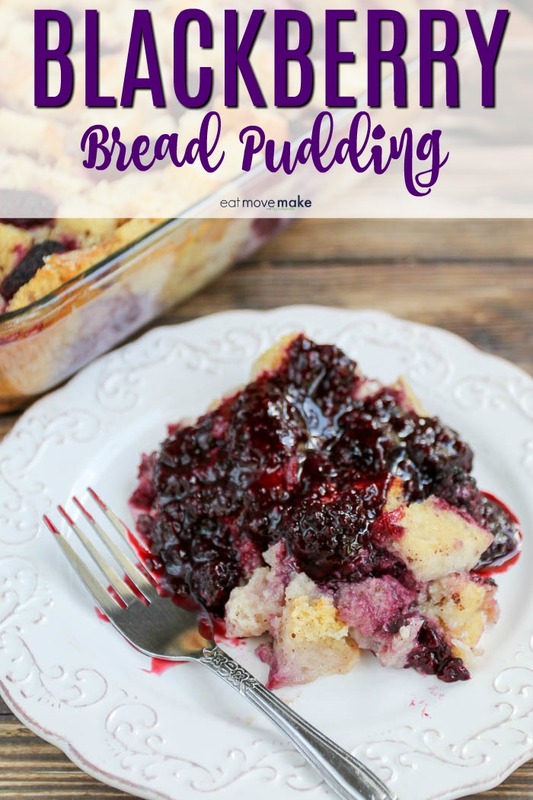 Bread Pudding with blackberries , a scoop of blackberry ice cream and maybe a little blackberry sauce…..There goes my diet! The recipe calls for heating the oven to 350 and baking at 325. Is it a typo or do you adjust the temperature when baking? Thank you for catching that! It’s just 325 degrees. I’ve corrected it. Thanks! Not nearly sweet enough for us! Next time, I’ll cook the blackberries in sugar and a little water prior to putting them in the bread pan. Made vanilla sauce to add prior to serving! YUM! I served mine with homemade blackberry sauce over the top which added just the right amount of sweetness. I may edit the recipe to include the blackberry sauce ingredients and how-to as well. Thank you! what size loaf of Italian bread? A 1-lb loaf will do the trick! How did you read my mind? I was just looking for a good bread puddings recipe and I also happen to have some blackberries on hand. Blueberries and peaches are in season right now at our local farm. I’d love to make something like this with blueberries. this looks so delicious and perfect for the summer. i love desserts that are made with berries. This looks so good, I’ll be pinning to try in the future. Blackberries are one of my favorite summer fruits! I am always looking for new things to try using them. I have found a winner! This is a perfect ooey gooey summer dessert! I love watermelon strawberries and anything with lemon in them in the summer time. To me those are the three biggest and best desserts in the summer time! 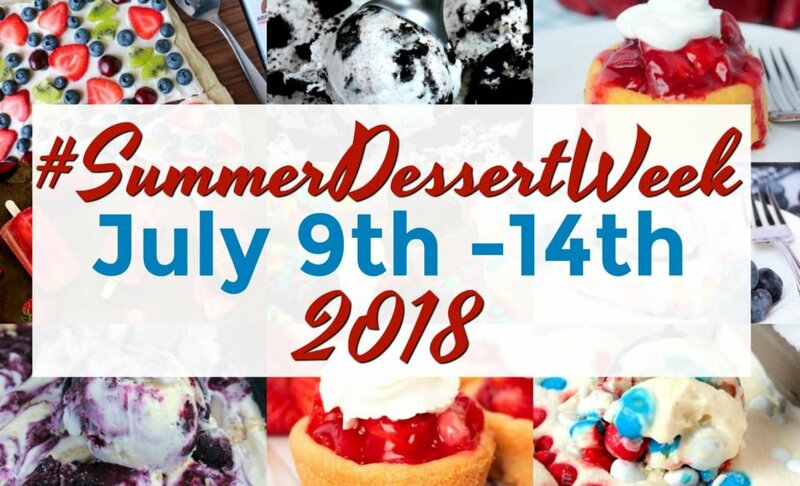 I’m a big fan of dessert! Peach cobbler is probly my favorite summer dessert. This looks amazing! Add a scoop of vanilla ice cream of fresh whipped cream on top and I’d be in heaven.